These are the persons I’ve been closest with the longest (not including Tracy). 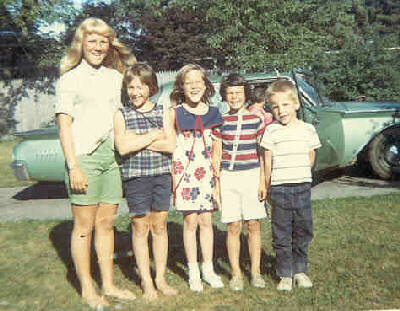 On the left, that’s my cousin Mel, then me, my cousin Maribeth (MB), Tracy, and my brother Larry. Looks like a perfect summer’s day, eh? I do believe this was taken at the end of a week’s vacation at my cousin’s house down the cape. Ooooh, man, I miss those days!